Deluxe interior car washing is about reintroducing people to their cars as they were the first time they took to the driving seat. A car is a mobile home, office, conference room, and crèche all rolled into one. This being the case, it’s easy to forget just how comfortable and pleasurable to drive our cars were when they were new. The good news, however, is that interior auto cleaning can help reunite you with that all important new car feeling. Why is Regular Interior Car Detailing Important? Clutter and accumulated interior cabin dirt isn’t just unsightly. Dirt and disarray can distract you as you drive. This being the case, investing in regular interior car detailing isn’t just about improving the aesthetic standard of your vehicle. Instead, professional interior car detailing is also about helping you improve your overall road safety. Of course, car interior cleaning is ultimately about removing stains, reconditioning upholstery, and leaving a car looking as near to new as possible. Much more importantly, if you are busy business professional, rental car agency, or even Uber driver, there is a strong argument to be made that you simply can’t afford not to invest in regular interior car cleaning. Auto detailing interior vehicle areas is about much more than vacuuming and shampooing a car cabin. This is because instead of just regular car cleaning, our detailing technicians attempt to remove even the most ingrained dirt. Using 100% safe and chemical free steam cleaning, we lift even the most stubborn stains from seat covers, carpets, and window linings. We then use material appropriate detergents to recondition upholstery, dashboard areas, and even interior mirrors, cupholders and gearbox areas. What is more, on request, our cleaning teams can use specialized Ozone generation to eliminate any and all lingering in-car cabin odors. Interior car washing isn’t ever something to be undertaken lightly. 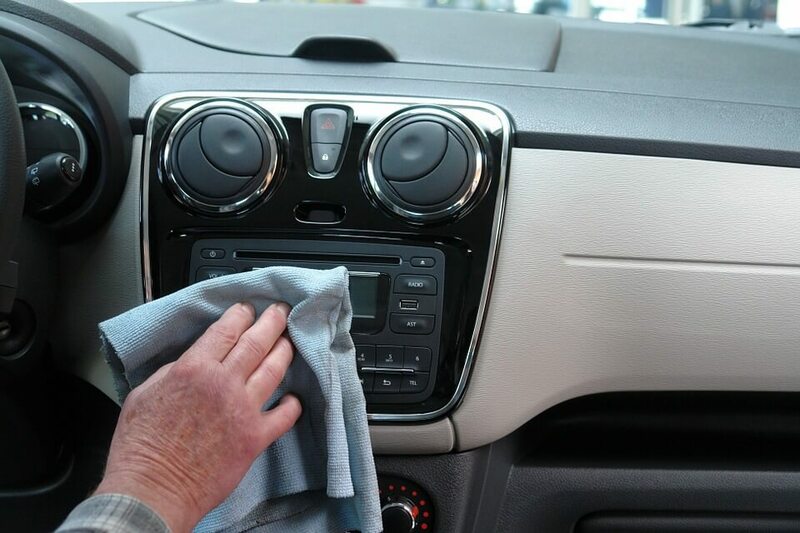 Using the wrong detergents can damage certain interior cabin surfaces. The good news, however, is that as Toronto’s leading auto detailing experts, we employ only the most sympathetic cleaning methods. Does your car cabin feel tired and less than aesthetically inviting? If so, let us help. Schedule interior mobile car detailing with us today and let us help keep your car looking its best for longer. I brought my black Charger SRT 8 to get a ceramic coating on the exterior and full detailing for the interior. Picked up the car on June 25 2018. They did an amazing job, it looks better than when I first picked up the car at the dealer on June 28, 2006. I highly recommend this place. Great job guys! I will definitely be back. Absolutely awesome job done. My SUV looks and smells like brand new! Perfect communications and very easy scheduling/rescheduling appointments. I wished I knew this shop before to get their best business value for reasonable price. Really appreciate the showroom look and feel, I enjoyed my driving home so much! Definitely will come back again and recommend to my friends! This guys detailed my car and served me in a professional manner great job! Thank you detailing pro i am glad i found you at the right time. Definitely will recommend this guys to everyone i know. the best place for car detailing and ceramic coatings. Viktor and Alex applied their nanopro ceramic coating product on my car for 5 years as we agreed from the beginning and its came absolutely amazing love it. thanks guys keep up with the high quality work. will definitely going to use them in the future. they deserve 5 stars 100%. These guys are the best in the business. It’s not just the fine work they do. But also how much they accommodate you to make sure you’re happy with their service. You can immediately tell that this is more than just a job to them, this is their passion. Viktor and his crew work closely with you to make sure you walk out a satisfied customer. You don’t believe me? Look at all their exemplary reviews before me. They will be truthful and honest about what they can achieve, not just tell you what you want to hear. I can’t recommend them enough. You will not be disappointed. Greatest detailing place around. my car is 14 years old and there was a lot of stains and crud on the seats and between. I took my car in and they were able to do great work and remove all the stains was on the seats (my car has a very very light brown interior, so I didn't expect much to be honest). Detailing Pro's exceeded my expectations and I was very surprised with the work that was done. I would recommend anyone to this place for their detailing work. Absolutely fantastic job, I could not be happier. Customer service team was very friendly & excellent. Detailing pro did an amazing job on the interior and exterior of my 2010 car! They got rid of all stains and the sand leftover from my trip to Miami.Prices are very reasonable for the job they do!Will definitely come back again! Alex is the man. Took my 2007 cls63 with some serious leather stains and lots of scratches and swirls in the paint. Him and his crew worked through the long weekend to get my car back as soon as possible. Got the ceramic coating and i gotta say i wish i had heard about this earlier. It's going to save me a ton of hours over the next few years. Again, Alex was really good to deal with, very straight forward and honest. Highly recommend these guys. Everyone thinks my car is brand new lol! Owner really cares for the customers. I was really happy with the work they did on my messy little car. Worth the money! It looks and feels great. I appreciate the owner contacting me for any questions or concerns. Feels nice to be cared about as a customer and not a $ sign. I just had my honda pickup Truck detailed yesterday by this guys at their location and it’s came gorgeous. They definitely existed my expectations on a high level. Outstanding service, very friendly and professional team. My car was full of salt stains and lots of dirt after a long winter. My car now looks amazing no salt stains and no dirt the leather seats looks and feels like new again.will be back again for sure Thanks again Detailing Pro team. Just had my 2014 Acura mdx competed by this awesome team! They service was excellent. The car looked brand-new after I got it back from them. Great staff and amazing workmanship! 5 stars all the way ! Super friendly and professional team. My wife spilled milk all over the back area and the smell was brutal yaki. Let's put this way this guys did a complete interior cleanup and applied some machine they call it ozone killer with some piping all over my car for at least an hour or so,When I came to pick up my car I was a bit sceptical about the smell but honestly when the guy open the doors of my wife's car I was absolutely in shock. NOT even a tiny sign of the smell. Awesome ? job and very happy with the results. Definitely going to use theme over again. Thank you very much guys well done job. BEST place you will ever find! People are very friendly and professional, pricing is comparative and in line with that other shops charge, but the work that's done is UNBELIEVABLE!!!! My van was cleaner and nice looking then the day i got it.... it looked better then brand new!!!!! This place is amazing and I definitely will be back! I recently had my vehicle detaliled by the guys at detailing pro shop, and I am nothing short of exceptionally satisfied! The work they did was sensational. The ceramic coating protected the outside of my bmw while keeping it shiny as a mirror .. I highly recommend detailing pro shop if you are looking for professional and incredible work! Excellent and very clean place with nice waiting area and free WiFi very impressed. I've got a very good experience with this guy's. they detailed my car yesterday from top to bottom. my interior looks and feels like a brand new again Try them out it's worth it very good and knowledge stuff will walk you through step by step about the packages they offering to make sure you totaly comfortable with it. Fantastic shop very professional and affordable. They managed to get all the dog hair out of my vehicle and I have 2 dogs and 1 is a husky so that hair was everywhere. Received Amazing friendly customer service with alex on the phone. Alvin and victor has my 10 year old car looking brand new.The shop is very clean and comfortable waiting area. I will definitly be returning and recommend to my friends. These guys did a great job and were super friendly. The interior of my car was in rough shape between kids eating in the back and dog hair everywhere. The owner got all of his staff to work together on it to minimize the wait time and was in there himself. Great experience I will be back! Wow this people's are the best. I got my car ceramic coated last week by Viktor and his guys and the results was way beyond my expectations. honestly i was a bit skeptical about doing the ceramic on my car but after I came to this shop and the guys showed me and explained me about the whole process i was very comfortable to let them touch my 2018 BMW,absolutely gorgeous this guys definitely knows how to treat cars at the highest level.Try them out you will not get disappointed ? Got my car detailed by these awesome guys !They did New Car Package on my Porsche Cayenne GTS the result was absolutely unbelievable. looking better than it was brand new of the lot.WORTH EACH $$$I will highly recommend this place to everybody !Best shop in town.Good luck ! Looking for Complete Interior And Exterior Auto Detailing?